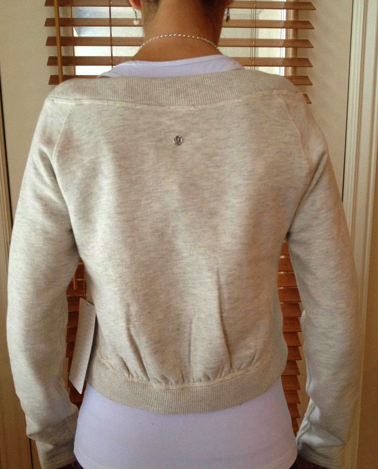 Thanks to Miss Q for sharing her pictures of the new Good Karma Pullover, available in Heathered Ivory and Heathered Black and Heathered Deep Indigo for $78. 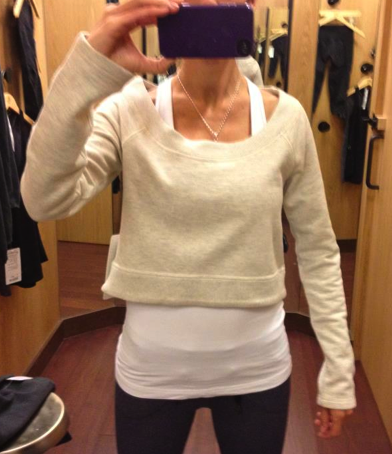 It’s adorable and this definitely works better for my figure then the Tea Lounge Pullover. "OT: In Honor Of February Being Eating Disorders Awareness Month"
Where is this! I have to have it! Adorable!!! 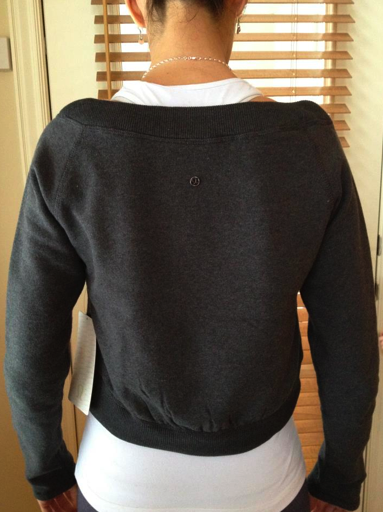 Cuter from behind, not so flattering from the front. Seems to hit at the wrong spot. We are talking about the fact that this is a 78$ half-shirt; right?? ?